Dapper Dan’s memoir isn’t due out until 2019 through Random House, but that hasn’t stopped Sony Pictures from snatching up the book rights and preparing a film project. 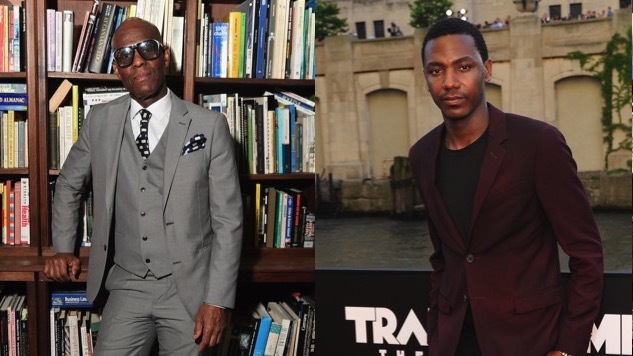 In addition to writing the screenplay, Carmichael will produce the project with Josh Bratman, with Dapper Dan and his son Jelani Day serving as executive producers. Sony Pictures’ Ange Giannetti and Maia Eyre will oversee the production. Starting in hip-hop’s Golden Age in the 1980s, Daniel Day (aka Dapper Dan) was a streetwear pioneer dressing some of hip-hop’s biggest stars, from LL Cool J to P. Diddy to Jay Z. Dan was known for taking luxury brands like Gucci and Louis Vuitton and adapting them into essential hip-hop accessories like tracksuits, jackets, bookbags and so on. His usage of these brands led to the closure of his store on 125th Street in Harlem due to litigation. But with hip-hop culture becoming a part of fashion, Dan found renewed interest in his pioneering style as he struck a partnership with Gucci in September to relaunch his brand with a fall 2018 collection. Along with this film project, Carmichael is having a banner year after the cancellation of The Carmichael Show, with roles in some of 2017’s most-talked films, including The Disaster Artist and Ferdinand, as well as Jay Z’s “Moonlight” video. This year, Carmichael will be seen in Jonah Hill’s directorial debut Mid-90s. Fans of both Carmichael and Dapper Dan can look forward to this film with anticipation as a forgotten hip-hop legend finally gets the spotlight he deserves.